This is onix, who likes him? He's a rock or pewter pokemon, not sure. He is one of my favorite rock types. He is so gigantic and strong. I like his design too. well, as I recall, Ash lost to Brock's onix right, in one of the 1st episodes? Because he had pikachu and pikachu got weak? Yeah in Ash's first battle against Brock his Pikachu could not defeat Onix. 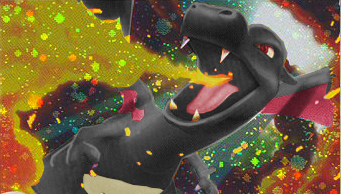 I remember on pokemon yellow i annihilated brock's onix with my pikachu's quick attack. I think Onix is a pretty decent deffensive choice in nfe. Yeah most rock types have good defense. 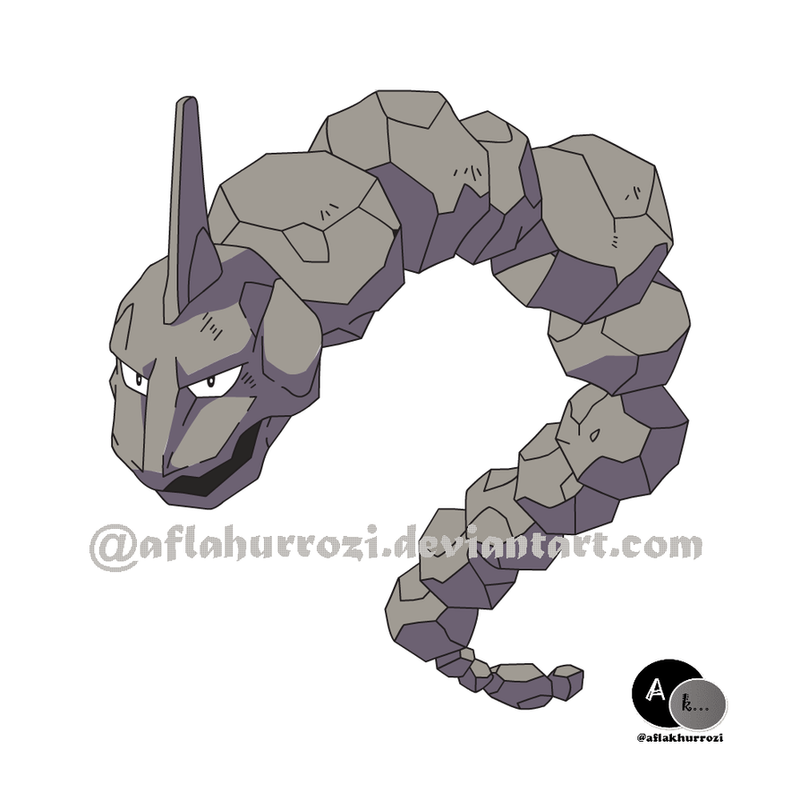 Onix its so cool, The first time I saw him in Pokemon Red was went Brock use it againts me ever since I always wanted one I even try to catch his and yes I also learn I cant catch other trainers Pokemon. He's really big, but he's not that strong for some people. I remember the anime episode with the giant onix's. Yeah Bruno jumping around trying to help one. I remember Bruno caught one. Onix was a great Pokemon to have, especially if you were going to be up against trainers that used electric-type Pokemon. I always loved him for his simple outlook. Yeah but against water types he was almost useless. Yeah since he is rock/ground and water beats both those types. I wonder what sticks the boulders together. Maybe hes just a snake wearing the rocks, so they won't fall apart. It is said that Onix has a magnet in his brain that serves as an internal compass for when he's burrowing underground. So maybe his whole body is held together by magnets. That could be why I guess. I agree with it more than my own theory. I think it makes the most sense, personally. Before i knew about ev training and stuff onix was one of my favorite pokemon to use in battles. (I typed that without looking at the keyboard. I usually have to look at the keyboard because I am a very bad at typing.